Altrex are an Australian company that have delivered the best in number plate covers to Aussies for 25 years. Their work aligns with their company mantra ‘your car, our passion,’ which resonates with the quality, durability, and sleek design of their number plate protectors. Why are Altrex Number Plate Covers the best in business? You’re not going to find the same range and quality that Altrex dedicates to their number plate cover range anywhere else. Their star rating-system for each plate cover lets you know if it falls into the ultimate or advanced range, with each being legal in all states. 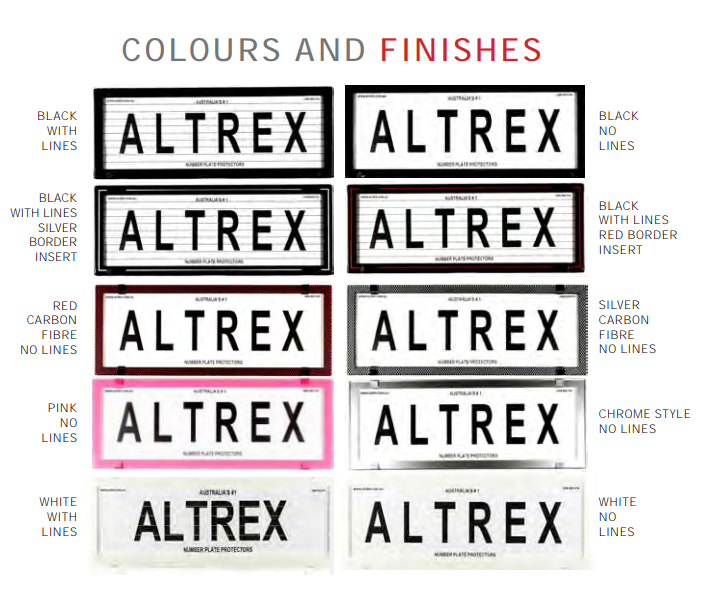 The best thing about Altrex number plates is that they are made in Australia for Australians! The thick, high-impact, UV-stabilised acrylic your new number plate cover is crafted from has been specifically chosen by Altrex as it can withstand the harsh Australian sun, protecting your plates from wear and tear. Altrex know that Aussie roads are used by a huge amount of people that have different styles, tastes, and visions for how they want their ride to look. This is why they are a number plate for everyone – from a pink border to a chromed silver border, their range of colours and finishes is impressive. They even have specialised covers for historic plates, single-figure plates, and International-style plates! The first thing to think about is simply whether you’re buying a number plate cover for a motorbike or a car. Altrex offers number plate protectors for bikes registered in all states and territories in Australia, and your new plate cover will have a black border and be with or without pinlines. If you drive a car, you have a lot more to choose from! 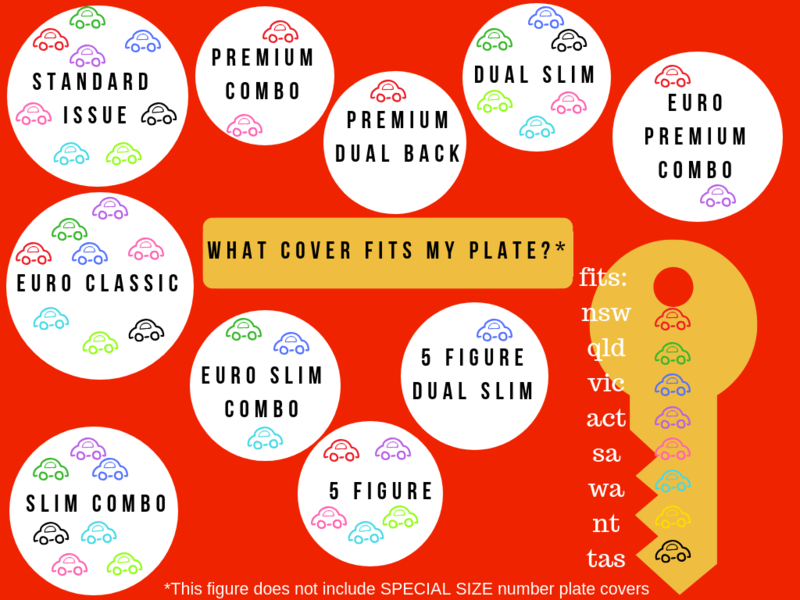 Firstly, look at how many figures are on your number plate (most are six), then the kind of plate you have (this will determine the dimensions you need), and then it’s the fun stuff – picking your colour and finish! All Altrex number plate protectors have bevelled edging, a foam seal to stop ratting, and are easy to install with Altrex’s hook systems (say goodbye to tedious drilling and screwing). Make sure you check your plate dimensions before you buy and chat to a Sparesbox team member if you need fitment assistance.